Yay!!! We are closing in on our kitchen project! 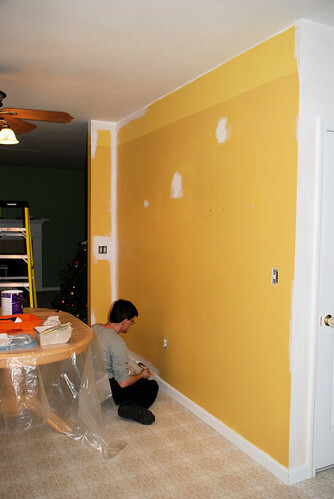 I can’t tell you how nice it is to cover up all that yellow! We are hoping to get everything painted before Egor’s mom arrives on the 5th! Jan 1 2009 Oct 3 2015 Lori D.